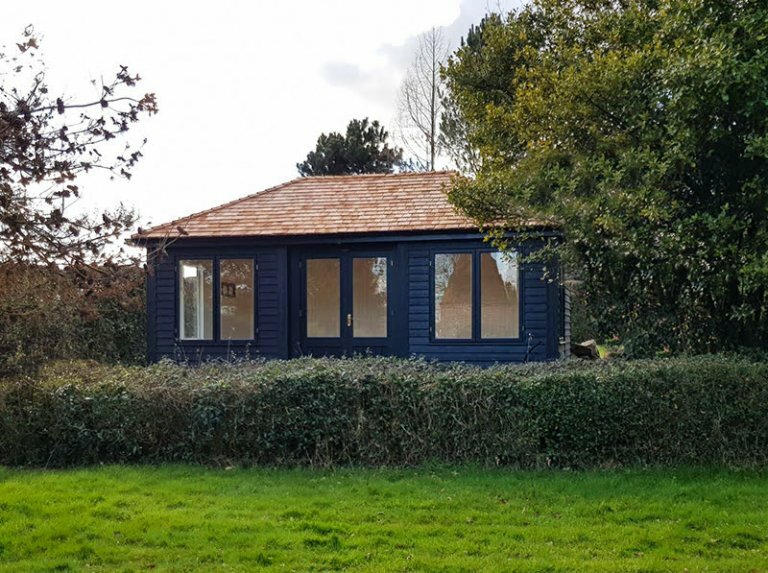 This large 3.6 x 6.0m Garden Room has been installed on the edge of our customer’s property in Mayfield, East Sussex to use as a library and study area to retreat to when they want some peace and quiet. The building has been painted in Black from our Valtti paint range, and there are cedar shingle tiles on the roof. Both features have been chosen to appease the customer’s local planning office. Their home is a listed building, which means their planning office have specific rules regarding what they can have in their garden - the chosen design has been approved because it reflects the design of the customer’s house. If you are confused about planning permission, you can use our planning calculator to learn more about why you would need to apply for it. 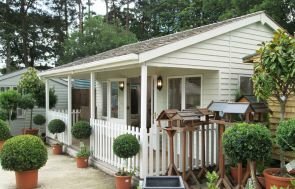 Our Garden Rooms are suitable for year-round use, which means they come with full insulation, double glazed windows, matchboard lining, draught excluders in the doors and windows, and an electric pack with a heater to provide heat, light and power through the year. We are so delighted with the new garden room! Please could you pass on our thanks to the men who prepared the base (didn’t catch their names I’m afraid!) & the installation team, Cliff & Paul. They were all so professional & hard working. You must be a good company to work for to have such a dedicated team. 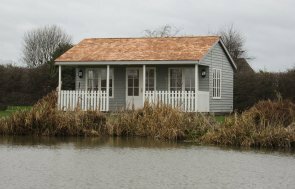 Plain windows, weatherboard cladding, black guttering and a heavy duty floor are the features that finish the building off to the customer’s exact requirements. 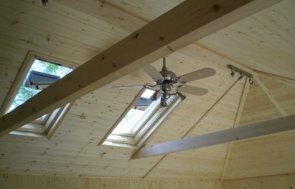 The hipped roof on this Garden Room is a grand, traditional choice, but you can also choose from our Apex Garden Room (with an apex roof), or the Pavilion Garden Room, which has an apex roof and a sheltered veranda over the front of the building. If you would like to know more about our buildings, please either come and pay our Lewes-based Show Centre a visit in East Sussex, or call us on 01769 444229 to speak to our helpful team.